Finally, the wait is over.. Today we are very proud to announce Arastta to the public! It's been 3 months since we started the development of Arastta in February 2015 and we are thrilled to share the first stable version of Arastta with everyone. In fact, we worked over 3 years on Arastta, since our first eCommerce component for Joomla. Arastta itself included 950 commits, 3 redesigns, lots of code refactors and a good many of chocolate. Arastta is the next generation of eCommerce software built with modern technologies such as Symfony, MVC, Doctrine (soon), Bootstrap, jQuery, Swift Mailer etc. It's totally FREE and Open Source. Having its origins in OpenCart, Arastta is not "just another OpenCart" but a feature rich eCommerce software. We have put our 7+ Joomla, 3+ OpenCart and 1+ WordPress years of development experience in Arastta, it is definitely beyond OpenCart. There are separate blog posts for the main features of Arastta which highlights main differences. Arastta is not only an open source software but also an open and transparent community. The main fail of OpenCart was the way it was maintained, by a one-man band, ignoring the community for personal interests. Here at Arastta, we value the community and share a common ethos that is Community Driven eCommerce. The start had to be in this way for the safety of the project. We look for real people who can meet and talk face to face, not just behind monitors or usernames/nicknames. The development strategy of Arastta adopts a regular release schedule every 3-4 months with the features primarily driven by ideas voted on by our community. Let's make Arastta together, join our community today. Start to create, manage and sell on your Arastta powered online store today with ease! This looks incredibly impressive for a free product. I look forward to testing it out. Great work! 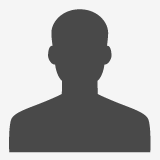 Reply Cancel · Denis Duliçi likes this comment. I just tested it and it seems like a copy of opencart... I don't like it. Thank you for testing our software. As we stated everywhere, Arastta is forked from OpenCart, so it's natural that they have common parts. Mavericks OS10.9.5 Problem with installation. Error: Could not write to config.php file. Please, check you have set the correct CHMOD permissions! I searched the downloaded folder but cannot find config.php ? do I need to create it first. Have you any info on how this may affect those using joomla and wordpress versions? Arastta is a standalone eCommerce system, it doesn't have Wordpress nor Joomla version. So you can download Arastta free, install it as a standalone eCommerce CMS.